A Syracuse area client came to us with her original engagement ring and wedding band set. 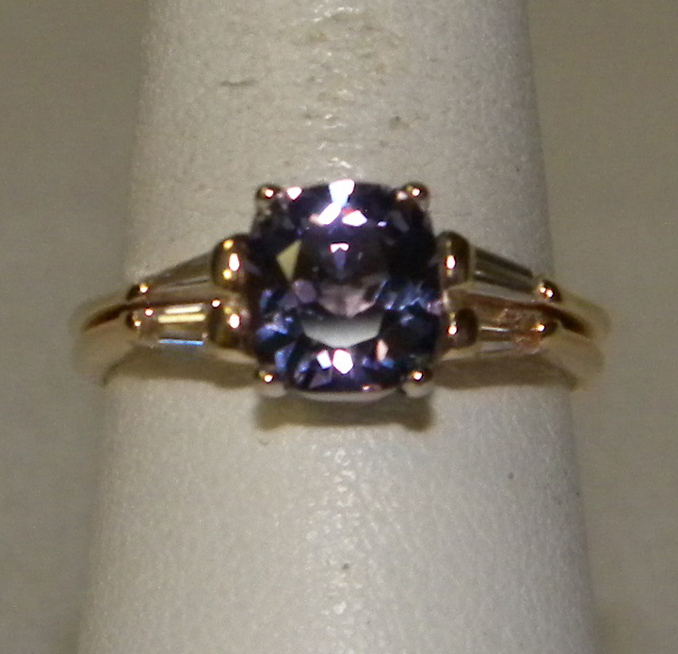 She asked us to set her diamond into a stunning new mounting. We then soldered her old set together to create a single ring, installed prongs, and added a single large blue stone, creating a lovely right-hand ring for her to wear for years to come.